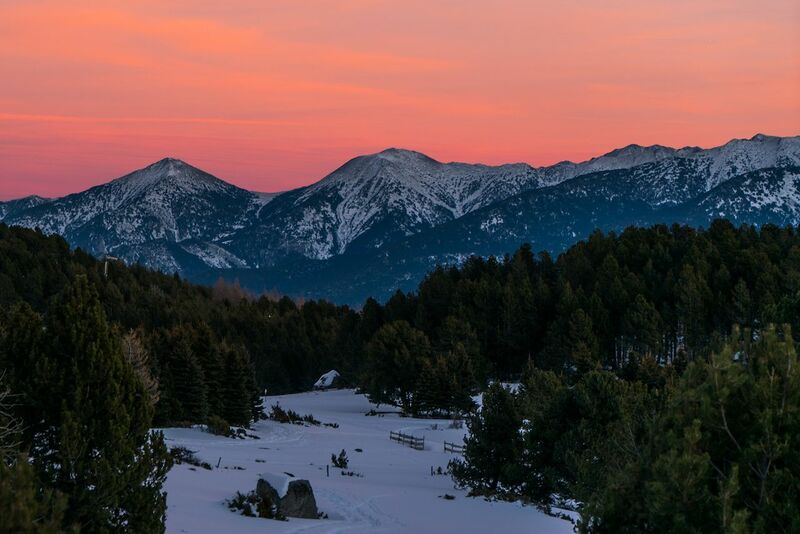 If you’re planning a ski trip to Europe, the 300-mile-long Pyrenees Mountain range dividing Spain from France is worth your attention. 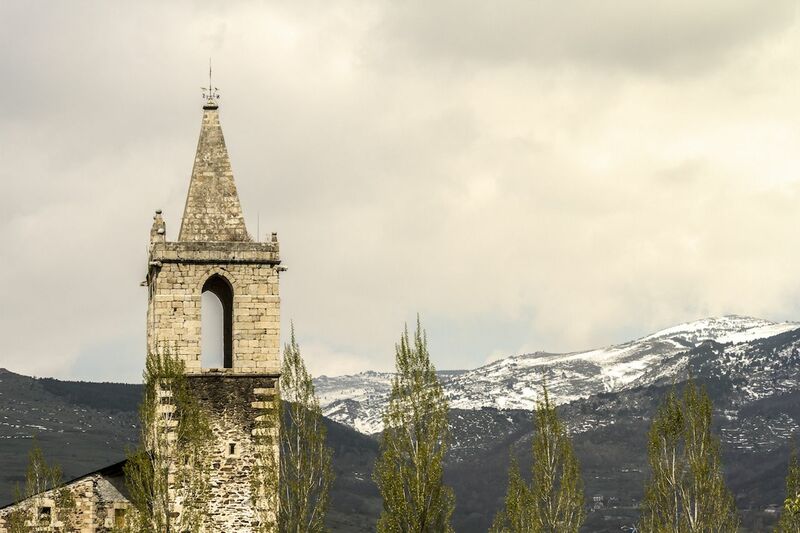 La Cerdanya valley, smack in the middle of that mountain range, offers access to a variety of ski areas, a melange of languages, and three countries. Plus it’s easy to get to, chill, and very affordable. Here’s why you should base your next ski trip in the Pyrenees’ La Cerdanya Valley. Getting to La Cerdanya is simple. 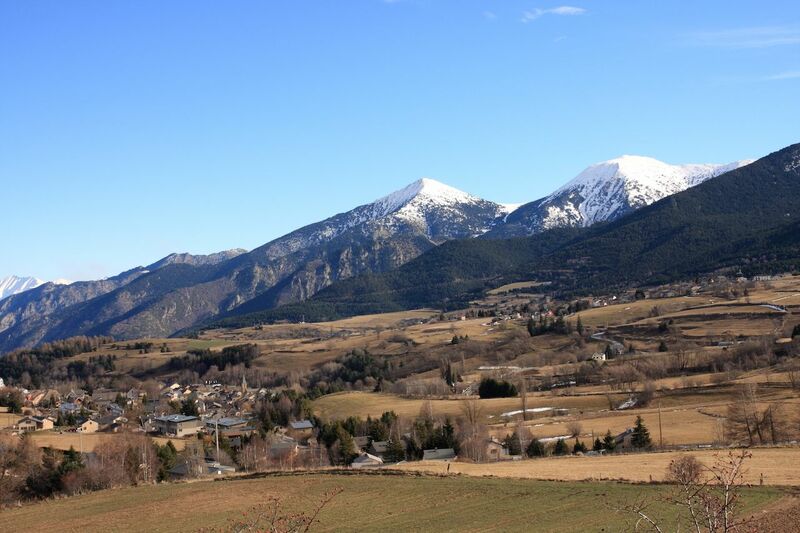 La Cerdanya Valley is fewer than 90 miles from Barcelona city limits. You can reach it from downtown Barcelona in fewer than two hours on an excellently maintained mountain highway. It’s an easy weekend excursion — even a day-trip — to tack onto a winter visit in Barcelona. You can rent ski gear in the city or most of the mountain resorts, as well. Once in the valley, the closest resort is 15 minutes uphill while the resorts in France and Andorra are another 30 to 60 minutes away. The towns have unusual names — and a lot of charm. 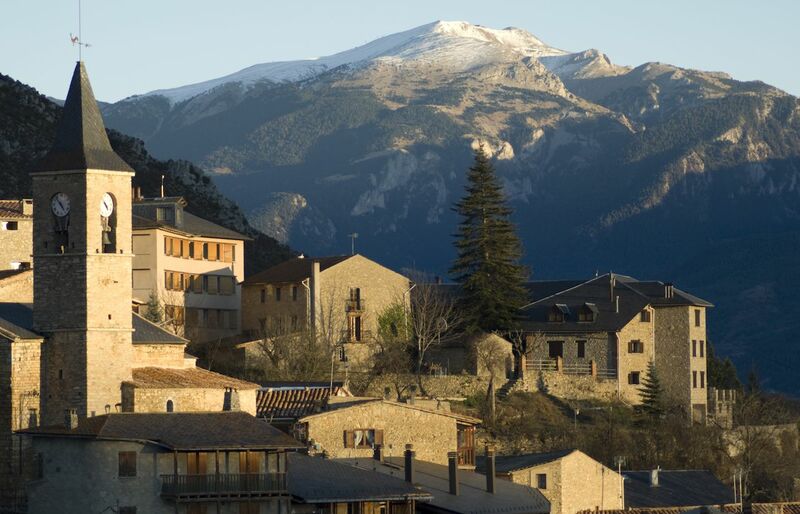 La Cerdanya is a valley that stretches from Spain to France and touches on the mountain principality of Andorra. 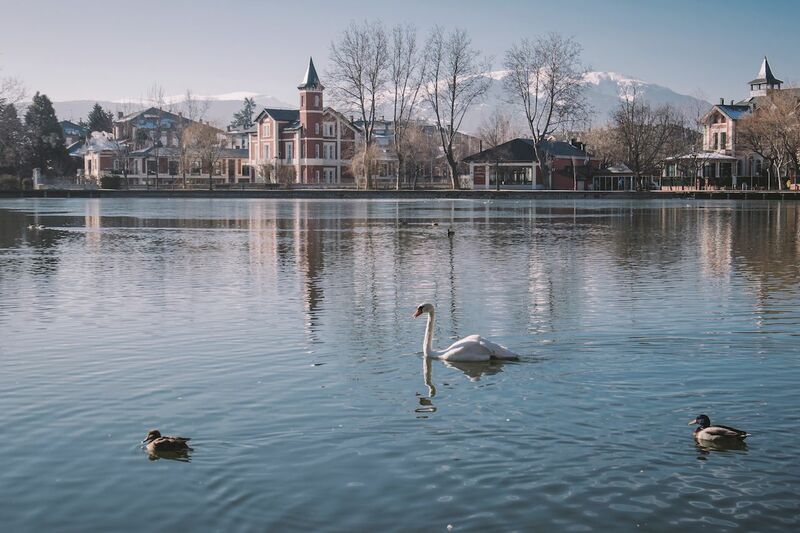 The main town is Puigcerdà on the Spanish side, which, when you cross a river, becomes the smaller town of Bourg-Madame on the French side. About 10,000 people call the combined Spanish-French city home. Elsewhere in the valley, much smaller villages have names like Das, Alp, Prats, and Urtx on the Spanish side. Across the border in France, tiny locales have retained such ancient names as Ur, Err, Llo, and Eyne. These clipped words and longer, equally unusual names like Soriguerola and Saillagouse are the appellations of dozens of hamlets spread across La Cerdanya, each home to anywhere from 50 to 1,500 inhabitants. Particularly on the Spanish side, the villages are built using the region’s classic taupe stone. In the dead of winter — when the grasses that feed the valleys’ horses and cattle are brown — it can lend the valley a somber hue. It’s livened up by the green forests and white snow of the mountains that frame the valley, though, and each winter, for a few glorious days and sometimes weeks, snow blankets the entire valley. La Cerdanya has a mix of cultures. The Cerdanya valley puts you in proximity to three countries: France, Spain, and the independent, mountainous principality of Andorra. While you’ll hear plenty of Spanish spoken on the slopes, the language of the towns is Catalan and French. The Spanish side of La Cerdanya is part of the Catalonia region of Spain where the preferred language is Catalan. (We’ve used the Catalan spelling for La Cerdanya; the Spanish spelling would La Cerdaña.) Especially in the small Pyrenees towns, Spanish hasn’t made the inroads that it’s made in bigger cities like Barcelona. While the locals can speak Spanish, they prefer to converse in Catalan. In Andorra, which is a short drive from the valley, Catalan is the official language. In La Cerdagne française, as the French half of the valley is called, you’ll notice a distinctly French vibe. Besides the obvious tell — everyone speaks French — lunch and dinner hours are earlier, they’re playing hip music at the ski resorts, and the food at the lodges makes the trek across the valley worth it. You have an endless variety of ski hills. The closest mountains to Barcelona are the Spanish resorts of Masella and La Molina. Masella is friendly and small — but not too small. It has a total of 18 lifts although that number includes magic carpets for beginners and several poma lifts, as well. It has plenty of steep intermediate runs, some of which are lined with pine trees, but not many mogul runs or really challenging pistes. The lower section is ideal for young beginners. La Molina is the big destination resort for Barcelonans, offering tubing, ice skating, cross-country skiing, and snowshoeing in addition to skiing and snowboarding. With 63 slopes and a gondola that takes you above the treeline, La Molina is nothing to sneeze at. It’s hosted skiing and snowboarding world championships, and while it’s more of a green and blue (beginner and intermediate) mountain, it does list seven black (advanced) runs on its trail map. A lift from La Molina will take you to the top of Masella, and a one-day adult ski pass with access to both mountains is just over $50. On the French side, the resorts have a chiller vibe than La Molina. Les Anglès is one of the bigger resorts with picturesque runs bordered by evergreens. The slopes could be steeper, but as the most developed ski area, Les Anglès has good snow-making abilities to get you through sluggish snow seasons. Formigueres is a small ski spot with few lifts, but it has some long pistes with decent incline and a handful of gladed runs through the trees. The two-story lodge serves a tasty lunch and offers outdoor seating upstairs on a spring day. Porte-Puymorens lies on a road that slices through the mountains and eventually leads to Andorra. The chairlifts are slow relics, but Porte has some steeper chutes that are very fun after a fresh snowfall. La Cambre d’Aze and Font Romeu are among the other French options. You can ski in three countries in a weekend. The backside of Porte Puymorens looks out towards the country of Andorra. 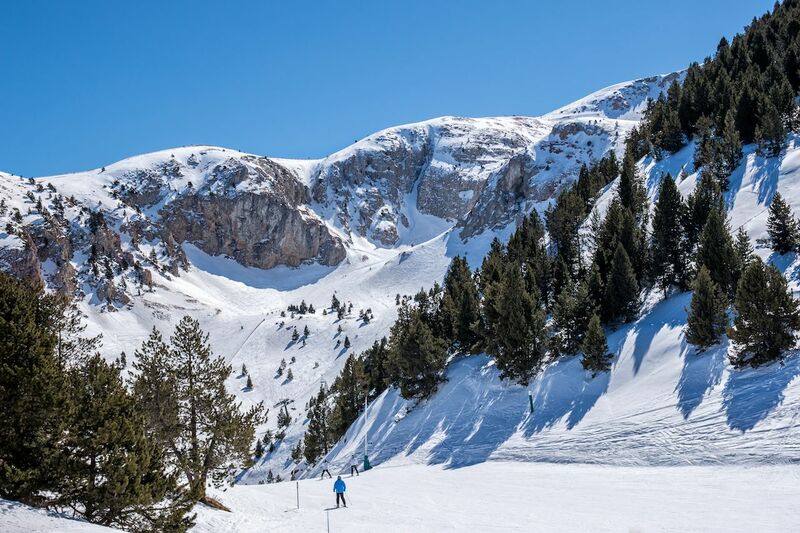 After a day skiing in Spain, you could spend the next morning at Porte Puymorens in France then hop back in your car and continue on the road heading east from the Cerdanya Valley. You’d be in Andorra in no time — although you’d have to stop and show your passport since Andorra is not part of the EU. You could hit three countries in two days if you really wanted to. Even though it’s not in the EU, Andorra uses the euro as its currency, and the territory is run by two EU member countries. Andorra is technically a principality whose co-princes are the president of France and Spain’s Bishop of Urgell. The entire 180-square-mile country lies within the Pyrenees mountain range with its capital city, Andorra la Vella, wedged into a narrow valley between alpine peaks. Andorra is full of ski resorts; the first one you’ll reach coming from La Cerdanya is Pas de la Casa. 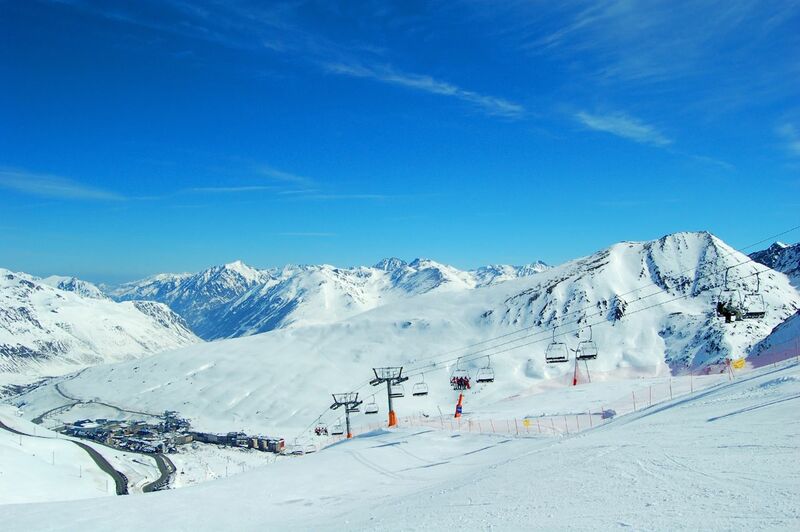 It’s now under the umbrella of the huge Grandvalira Andorra, whose adjoining ski areas have a combined 66 lifts and over 120 miles of runs. With so many pistes, you’ll find plenty of advanced options in the mix, as well as blues and greens for more novice skiers. If you thought Grandvalira’s monopoly on ski areas would jack up prices, you’d be happy to know that, at the current exchange rate, a one-day pass for the upcoming 2018-1029 ski season is only $58 for adults, $52 for teens, $39 for kids six to 11, and free under that. In France, the morning coffee break is unbeatable. One of the highlights of a day skiing on the French side is stepping into the lodge after a couple early morning turns to warm up with a perfect espresso and a pain au chocolat that simply couldn’t be any better. This region of France doesn’t have a nearby big city like Barcelona, and most moneyed Parisians will opt for the Alps for their ski getaways. While some of the French resorts like Les Anglès have high-speed lifts and updated facilities, a few of the French lodges are in desperate need of an upgrade. Yet even at these, the croissants are amazing. Porte-Puymorens has a ski shack close to its steeper runs that’s practically crumbling before your eyes. 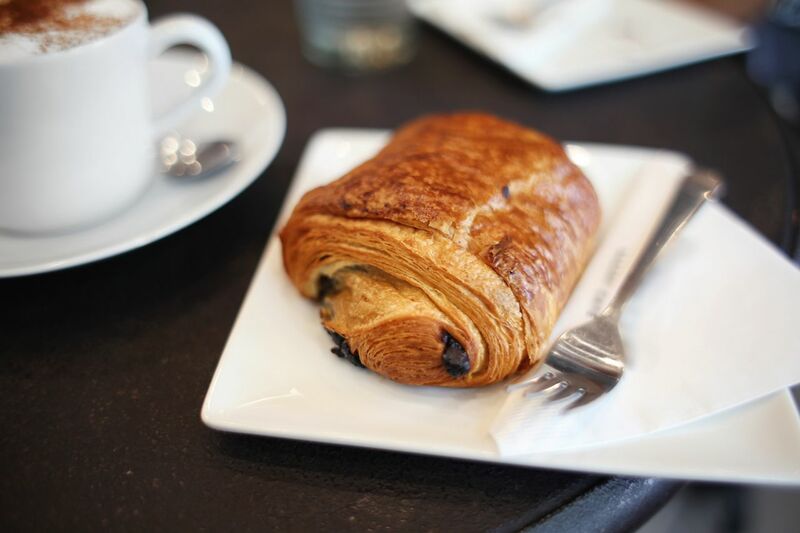 But close those eyes and savor the espresso and pain au chocolat, and you could be at a café in Paris’s Marais district. Likewise, the music at this ski shack seems too eclectically hip for a tiny mountain spot near the border with Andorra. In Catalonia/Spain, you can have a filling lunch off the mountain. While those French mid-morning snacks are unbeatable, the same can’t be said for the options in Spanish resorts of Masella and La Molina. Here, locals have a quick breakfast at home and take a break for sustenance at 11:00 AM. A weird snack of choice on a cold day is hot broth — literally the kind of chicken stock you use to make soup, heated and served in a styrofoam cup. We suggest an alternative: Order a coffee and make sure you have an energy bar in your jacket pocket. A big reason the food choices are so meager on the Spanish side is that the locals eat their big “midday” meal after they’re done skiing. Great lunch options on the valley floor compensate for the poor on-mountain fare. Catalan ski teams and ski clubs quit training at 2:00 PM so that families can have a proper weekend lunch. There’s really nothing better than making a 3:30 PM lunch reservation, enjoying a languid meal with lots of wine until 5:30 PM, then rolling back to your hotel or lodge for a good movie on the TV or your computer and crashing out early. You could have that long lunch on a Spanish island surrounded by France. The “island” part may be overselling things. The village of Llívia is not really an island as in a body of land surrounded by water. But it is a body of Spain surrounded by France. A 1659 treaty that ended a conflict between Spain and France left Llívia as part of Spain even though it lies over a mile within French territory. The best place to have lunch on that Spanish island is the Formatgeria de Llivia, a restaurant in a former cheese factory. While fondues and raclettes are a big feature on the menu, you could also order roast duck, veal, or cod. Between courses, kids run around in the green space outside while adults uncork yet another bottle of wine. Other excellent lunch places include Can Borrell and Paller de Queixans, with its elegant dining room in a big stone house. A low-key choice on your way out of the valley back to Barcelona is the Fonda de Cobadana in the town of Urus. You can choose early or late dinner times — depending on the side of the valley. If you’ve skied on the French side and eaten lunch on the mountain — our vote goes to Les Anglès for the best ski lunch in the valley — you may decide to stick to the French side for dinner, too. Try La Crapahuter or Tablet de Saveurs. 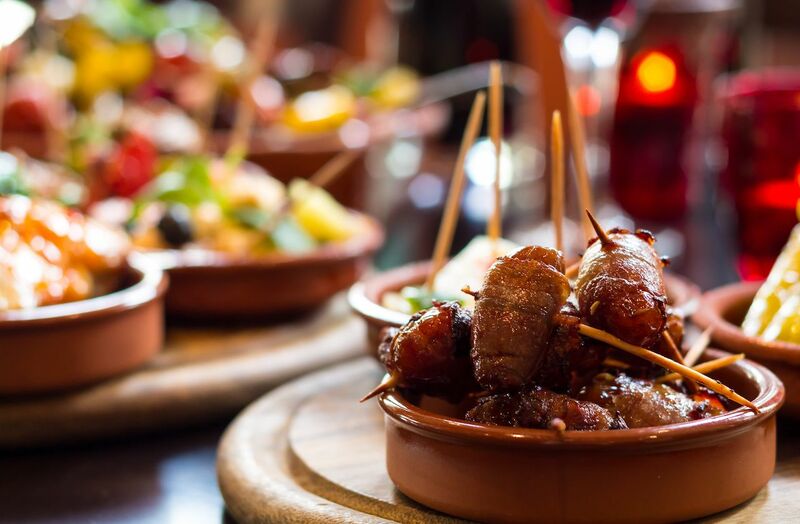 If you attempt to eat dinner on the Spanish side, you may find yourself waiting until 10:00 PM to dine, which is tough to do after a day of skiing but could be appealing to some night owls. Also on the French side is one of the best markets, which is perfect if you’ve rented an Airbnb and have cooking facilities. The Carrefour market is a few minutes drive from the Carrefour market in Spanish Puigcerdà — but it’s stocked completely differently. You’ll find tasty whole grain bread, a bigger selection of spices, and much more variety in the groceries than you will on the Spanish side. There are plenty of accommodation options. 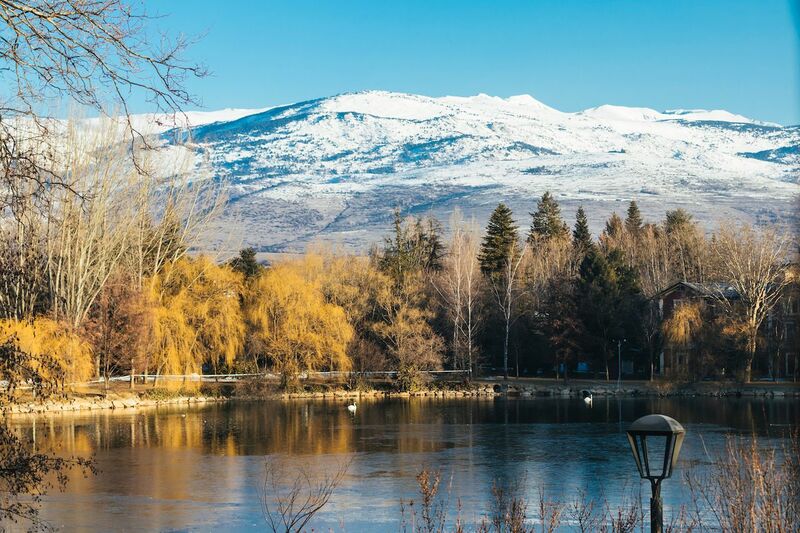 You’ll find lots of hotels near La Molina and Masella, as well as in the city of Puigcerda. The fanciest hotel options on the Spanish side of the valley floor are the over-the-top, castle-like Torre de Remei, Villa Paulita in the town of Puigcerdà, and the Chalet de Golf Hotel. On the French side, you’ve got Le Crapahuteur, Hotel Restaurant de Lac, and Auberge Les Ecureulis — in addition to hotels near resorts like Les Anglès. Andorra is packed with accommodations options. Then again, you could always come up for a day from Barcelona and head back down at the end of the day. But with a long après-ski lunch waiting for you, we bet you’d rather order that bottle of wine and stay in La Cerdanya for the night.